I'm the translator of this novel. I really like this novel and it definitely deserves a solid 4/5 or above. But hey, it's my project I'm rating it 5 stars. Be aware of what you're getting yourself into. The length of the story is excellent and doesn't feel dragged. The MC is rather OP since he has lived for tens of thousands of years before getting banished from heaven as a result of peeping on a bathing fairy. Pretty girls are almost everywhere but it definitely doesn't get too annoying (to... more>> me). There's a good amount of harem which I absolutely enjoyed for obvious reasons. Combining superpowers and cultivation, the style of the novel can be interesting. As the story is slightly linked to Chinese mythological figures and characters from the classical novel 'Journey to the West' like the Monkey King Sun Wukong, Jade Emperor and even Chang'er, it may seem foreign at first sight, but the story certainly isn't highly dependent on them to the level that it gets frustrating. As the translator of this project, I'll try my best in putting TL for better understanding. This novel is AWESOME! Most of the early chapters are about character development and the main character's school life. More fighting and cultivating will eventually appear at around chapter 40-ish. However, unlike other novels like AWE, this series doesn't have as much cultivation, but more to the urban lifestyles of the characters integrated with some fighting of course. It's definitely worth the read, I especially like the author's humor. P/s. If you're a naive boy who doesn't like harem, this novel is not for you. A novel with OP MC and harem. For those who prefer more characters interaction instead of cultivation and fight stuff, this novel is for you. MC is basically an alpha male who just gets all the ladies. Heads up: Since there are a lot of dialogue and probably quite a lot of terms, it is most likely going to be messy for quite a few amount of people especially if translator doesn't do the glossary well. I'm not sure about the translation since I just read the raw so my review... more>> is just base on the raw and not translation. 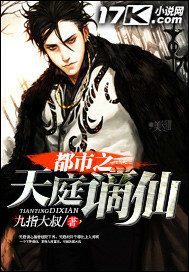 There is also not a lot of repeating plots in this novel since there is only 700 chapters which is a plus. Wow, this is horribly bad. When others pointed out that it had the writing style of a 9th grader, I thought they just exaggerate but after reading 20 chapter I realized that they actually gave the writer more credit that deserved. This is NOT even good as a self-insert wishfulfillment story as the writing is so bland and nonsensical. Love this, super enjoyable and chill novel. Gotta love a perverted, confident MC. The fact that he smoothly and easily adds the best girls to his harem is amazingly satisfying, and that he finally sleeps with a couple of them. He could get it on faster though. So far there hasn't been a very clear plot... though I am slightly annoyed how he sometimes is really generous and just agrees to give out his limited amount of priceless wine just willy-nilly. It's heart-breaking. Though I might just be a miser. is real unlike many novel out their which has TAG harem but no touch to girls. Sadly this novel has a lot I mean a lot of many bad plots that make you feel like stop reading. First the Comical force Comedy at this point I don't know if the author are being serious or just want to insert a joke out of... more>> nowhere. Then we have unnecessary topic or force interest to wine, I have no idea if the author loves wine or what so ever but to be honest I already read a lot of novel that introduce wine but this novel is just to much the so called MC's wine are very OP. MC's wine addictive makes any person 100% insane and obedient (works best to girls), has over power healing effect and majority of medical related topic in this novel has to many b*llsh*tting operation to cure an illness but after a drink with MC's wine all got cure almost instant. I have yet to read if MC's wine can even resurrect the dead. Repetitive use of character background to the point that only the name was change, Highlighting Unnecessary characters that has no meaning, introducing some unknown character and explanations to the point you want to flip tables. One example are the chiefs of certain restaurant's so far MC already meet 4 - 5 some disappear other's follow MC, The Brother characters is annoying, The MC's 3 brothers are already confusing but the author adapt the same brotherhood system to even side characters. Student A, B, C and D appearing and disappearing from the story (author seems to lazy so most characters are named by letters) Keep mentioning people that was irrelevant or has no meaning for the story. They have characters but they are like puppets saying yes to MC's whim, some was just addicted to MC's wine. "Guo Huai waved his hand once, the flying sword in his hand instantly rushed out to Qin Long. After spinning around Qin Long's body, the sword then flew back into Guo Huai's hands. The upper part of Qin Long's long robe immediately fell into pieces." "Second Brother, collect one million from every single esteemed guests who wishes to have their meal in Clinic of No Treatment. For every share missing, you must pay ten times as compensation, " Guo Huai said loudly to the fleeing Jia Yuan. "If you want to eat at Clinic of No Treatment, we can make meals for you, even though it's not that good." "Meh, one million it is then. I want to taste for myself if the food Zhou Tianyang so praised is actually worth one million. If it's not, I will make you spit out the money you collected from me!" Jia Guyun said smilingly. Novel is good but to many wrong turns and unnecessary plot being recycle making the objective boring as it is very repetitive. mainly use pills and acupuncture to heal and let's not forget that MC's wine is the most OP cure. No line breaks, gets confusing due to the scene jumping with no warning. MC's friends are in their mid 20s to early 30s and he is 15. Dude gets stabbed and shot before the merger and his relatives see it as nothing bad. F**ked up and poor writing. It's a novel for harem lovers, if you aren't a harem lover, dislike harem, looking for something deep with a good story-line and development then this novel isn't for you. this should be what red packet server is. Just a funny novel about someone who are friends with the gods and have skills. alot of characters drop in once in a while and people unfamiliar with chinese deities and gods will not recognise them but the novel is not geared towards these people (like the majority of translated novels, chinese novels are for the chinese people). This novel is good, if you read it the first time it is excelent. ofcouse if you contaminate your oppinion after reading soo many over used then any novel would be borring. it like eatting chocolate the first few time and eatting chocolate everymeal for 100 years...!